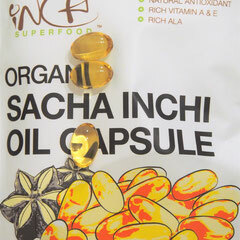 Sacha Inchi oil is valued as a nutritional supplement because it contains a high concentration of polyunsaturated fatty acids, making it an excellent source for Omega 3 (alpha linolenic acid) and Omega 6 (linoleic acid). 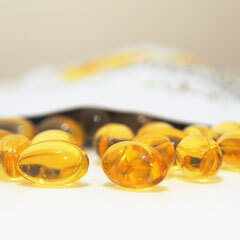 This oil is the perfect supplement for people that do not consume seafood or enough Omega-rich vegetables. It contains antioxidant vitamin E (alpha-tocopherol) and rich in essential and non-essential amino acids that are important for good health. 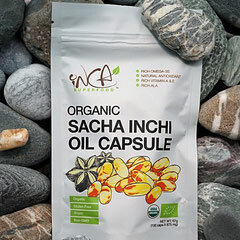 Sacha Inchi oil has a naturally higher concentration of essential fatty acids (84%), with more than 48% being Omega 3. 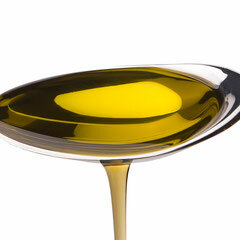 It improves circulation while lowering blood pressure, cholesterol, and inflammation throughout the body.